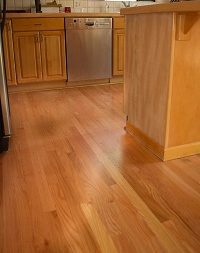 2019 is going to be a banner year for the Reno/Tahoe economy, and new hardwood floors are an excellent way to enhance your investments. Whether you have rental properties, office buildings, or simply own a home you want to retain its value as the market rises, new hardwood floors are always the best bet. Additionally, because so many people forget that installing new hardwood floors is a year-round endeavor, the winter months are a great time to get a great deal. These are just some of the reasons to schedule an install now. It’s no secret that Spring and Summer are the busiest time for Reno/Tahoe construction and tradesman companies. Consumers want to take advantage of our beautiful weather to get as much work done on their houses and buildings as they can. Consequently, that allows savvy customers who want the best deal, the best craftsmen, and the most convenient work schedules, sitting in the cat-bird seat over the winter months. You can have your new hardwood floors installed without any hassles at all. When you have your new hardwood floors installed right at the beginning of the new year, you’re way ahead of the game from the start. Come Springtime, your gorgeous new flooring will greet your guests and clients from the very beginning of the season. If you’re renting to the Ski and Snow crowds, we can be in and out before you know it. Your properties will immediately command better rents from a more discerning clientele. Artisan Hardwood Floors is the premier flooring installer in the Reno/Tahoe area. Please feel free to contact me right now, while the idea is fresh in your mind. You’ll be glad you did!